Perfume is one of those products that may influence our emotions. People’s sense of smell influences behaviour and sets different moods. It may even bring up memories of the past. 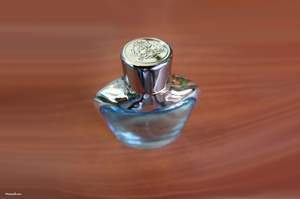 As a marketing tool, perfume is also present in our everyday lives and it can be found in lots of consumer products. Besides the fact that perfume is so popular, have you ever wandered how it came into being what it is today? What’s the history of perfume? Three thousand years ago in ancient Egypt, historians believe that perfume was first used in rituals, as part of their religious ceremonies, creating a pleasant smell. These scents came from gums, resin trees, oil and from a variety of plants resulting in a perfume unguent that was rubbed into the skin. Hundreds of years later, women of Egypt were using perfume for their cosmetic qualities. It is believed that Egyptian queen Cleopatra had her own exclusive balms and scents used as cosmetics and aphrodisiac, which helped her to conquer Julius Caesar and later Mark Anthony. Later on as trade routes expanded, perfume became very popular and demand for scent products increased trade among different civilizations. Africa and India started to supply Middle Eastern civilization with spikenard and ginger. Syrians sold fragrant goods to Arabia. Mediterranean civilization began buying cymbopogon and ginger from South Arabia. And so the trade of scent goods kept on, and as it continued to swell, fragrance perfume was eventually introduced thru time to several civilizations such as Hindus, Israelites, Carthaginians, Arabs, Greeks, Romans and finally reintroduced hundreds of years later in Italy and France. By the 13th century Italy was doing major trades of spices and perfumes with Eastern civilizations. Portugal and Spain were also trying to establish important trades of spices by having exclusive routes to the East. That’s how the new world of America got to be discovered. As Italian perfume influence swept over neighbouring countries, France began expanding the use of perfume by first offering perfumed gloves, which were most often perfumed with neroli or animal scents such as ambergris and civet. From then on, French perfume has become famous worldwide and today sets the standard for excellence. Also France played a major role in re-establishing the use of perfume for therapeutic purposes in the western world. It has been reported that during Word War II, therapeutic perfume had been used in the treatment of wounds and burns, and later in the treatment of psychiatric problems. Perfume has brought different people together in the past thru the trade of aromatic scents. It also played a major deal, since its trade meant economical power for the nations. And so the history of modern man has been greatly influenced by this special product, enabling new worlds to be discovered. On a personal level, perfume is capable of influencing people’s behaviour and that by itself sets perfume in class by itself. Perhaps that’s what makes it so desirable by all of us.